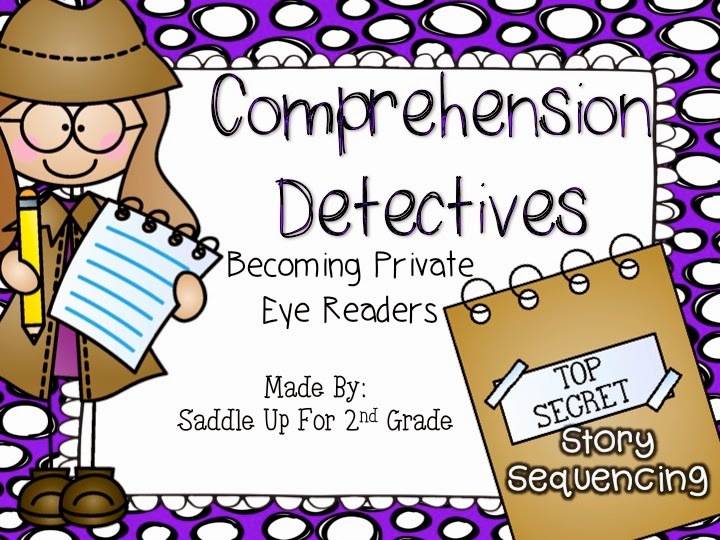 One summer project I have worked hard on is my Comprehension Detectives series. 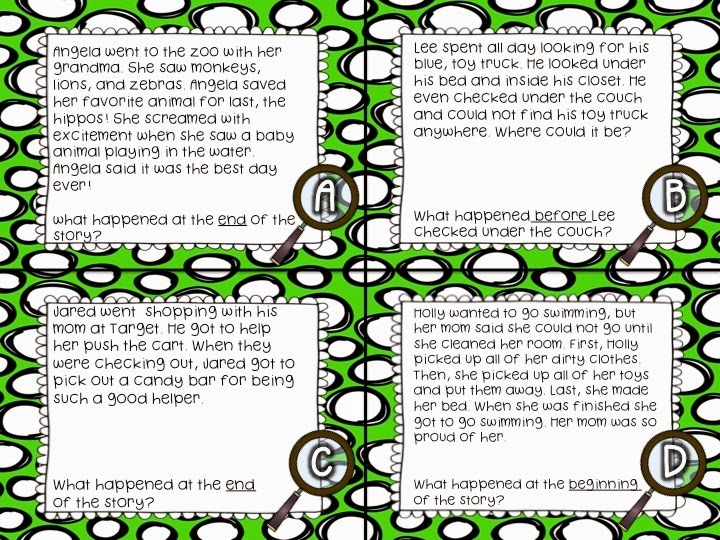 I wanted to create a set of units that cover all of the 2nd grade reading skills and that is exactly what I’m doing. I’ve created the first 2 products for the series and they can be used with any book. 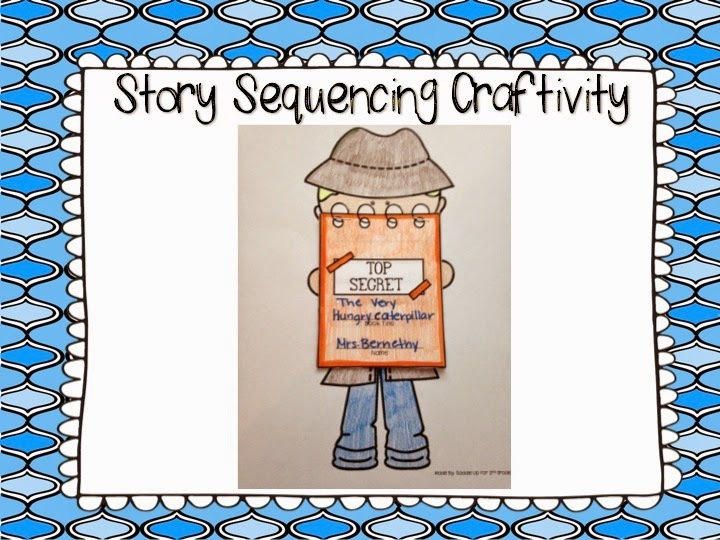 I just finished my story sequencing unit and I’m so excited about it. Here is what you can find in the full unit. 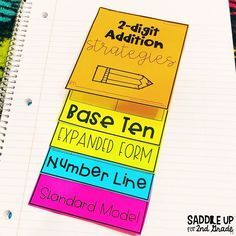 Interactive notebooks are HUGE right now! 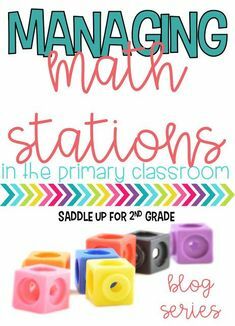 I personally love using them in my classroom. They are easy to prep and set up. 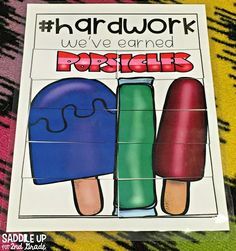 They work great for skill reinforcement. 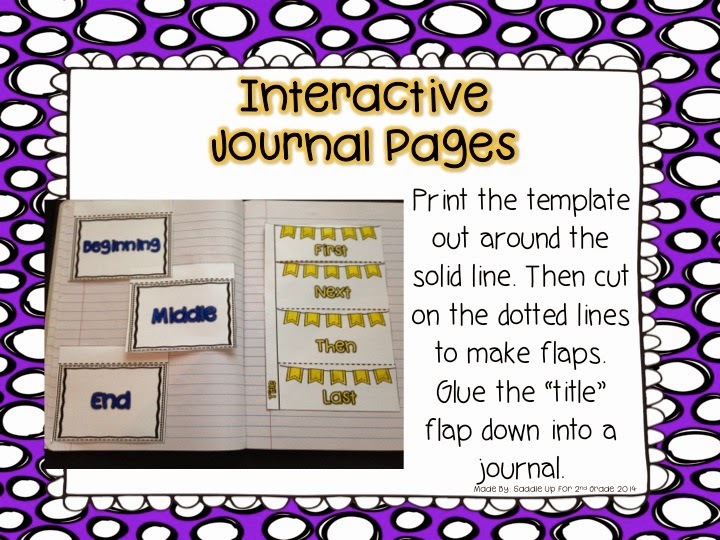 This unit includes 4 templates. 2 for first, next, then, last, and 2 for BME. You can get a closer look at what they look like below. 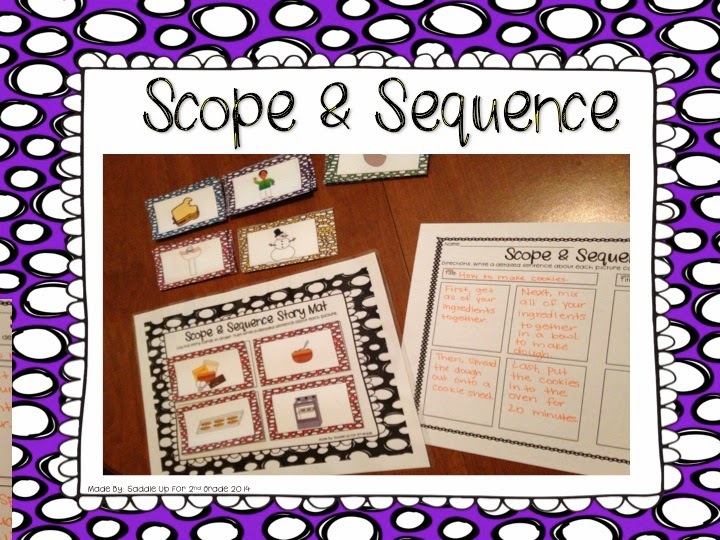 Scope & Sequence is an activity that can be used for whole group instruction (show the cards on the board), small group instruction, or they can be placed in a center. 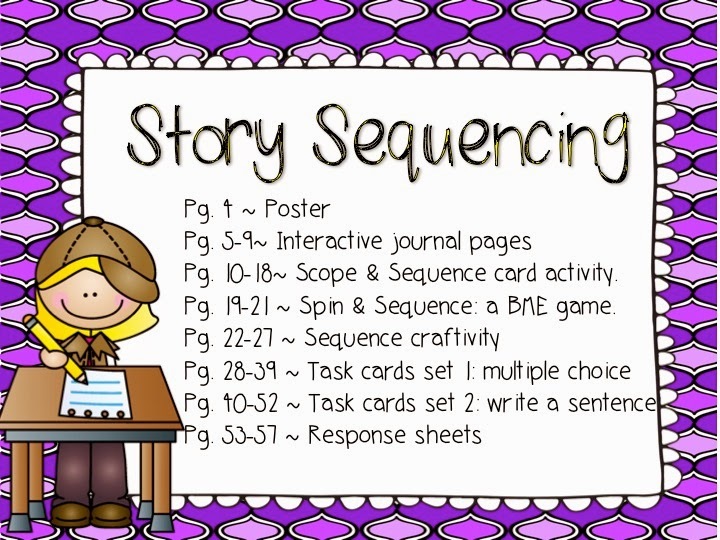 It includes six sets of sequencing cards. Each set is a different color. On the writing page, it shows what color of cards they need. You can see this in the picture below. 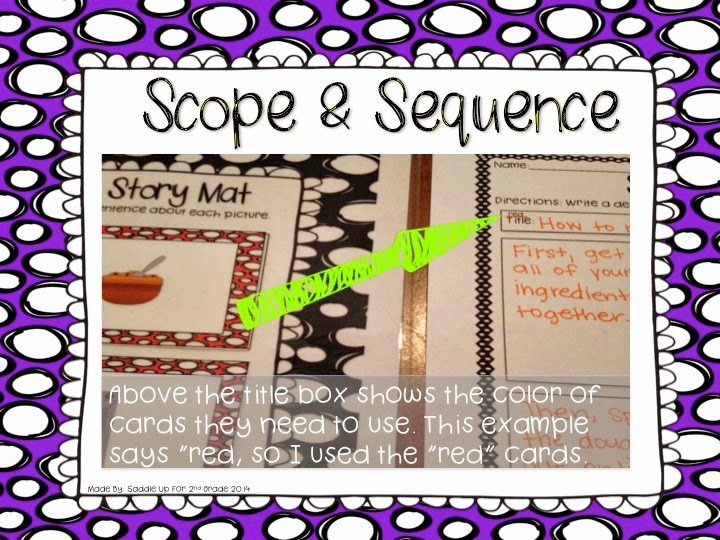 I used the red cards and placed them in order on the mat. 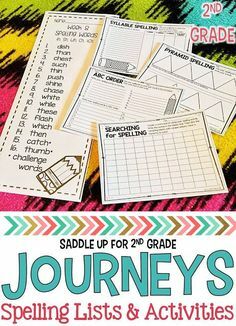 Then wrote the steps on the writing page. Obviously student writing will not be perfect. 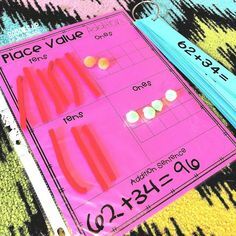 This activity is to get them to think outside of the box. 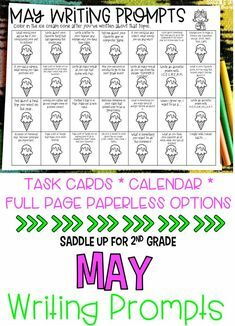 Two sets of task cards are also included. Both sets are offered in color and black & white. Set one is multiple choice. These are great for reviewing the skill once it has been introduced. 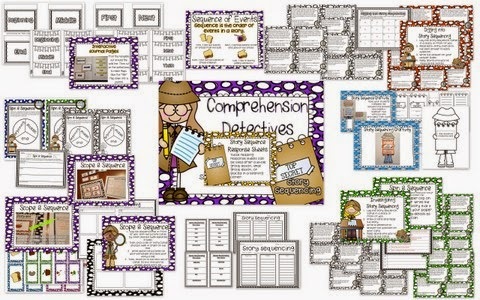 A higher level thinking set is also included. This set is more for once the skill has been mastered. 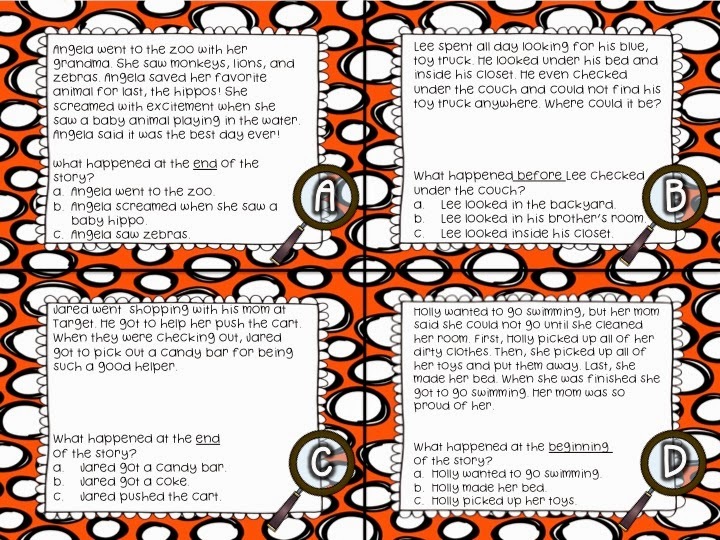 Instead of picking a multiple choice answer, they are to write their answer using a detailed sentence. 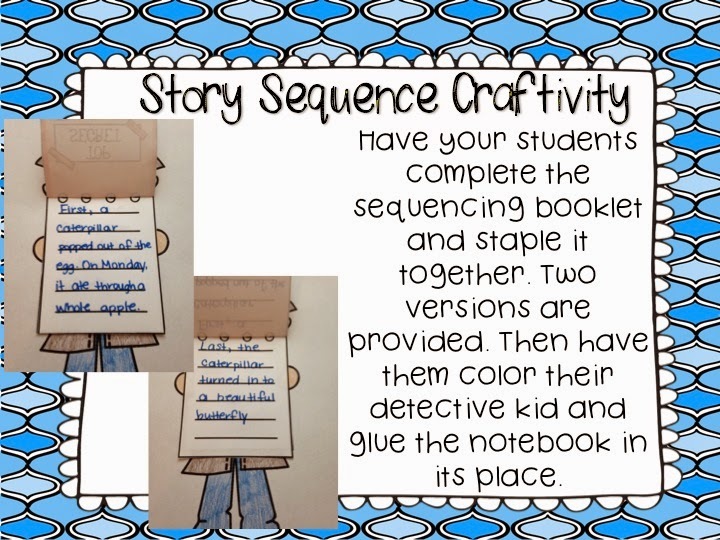 I LOVE this sequencing craftivity! 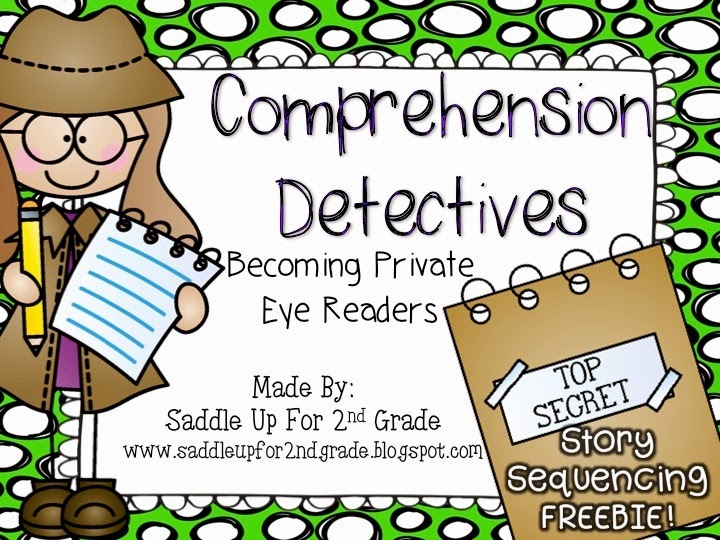 My whole theme for these units is for my students to become “private eye” readers by the end of the year. This little detective is just too cute! It can be used with any story. Two different templates are included. Wait! I have more exciting news. I have a FREEBIE from this unit. I knew you would be excited!You can click here or on the picture below. Don’t forget to leave me feedback! You can grab the full unit on sale right now for the net 24 hours!